Today’s blog title sounds to be very easy but, there lies something interesting as well. Well continued to work with Dynamics Portals, starting up with entity form and entity form attributes. I have a requirement like to calculate the age on input of date field. Which doesn’t fire the change event. 😦 Simple but not working. After couple of observations over the datetime attribute. DateTime field on click or expand opens up a datetimepicker where actually I need to attach my event handler to it. Well I have started working as well as learning Dynamics 365 Portals. Seems like portals are quite interesting and bit tricky to play around. Lets move on to the scenario which I have faced. My task is like to display a page in portal which contains account information. To achieve this I started creating a web page named “Account” which will use the entity form. In Entity form I select account entity and account detail form to display the same on the portal. Now I am done with my changes and task as well. When I refreshed my portal to view the changes and account detail form, the portal does not show up. Indeed it throws up a weird error!!!! 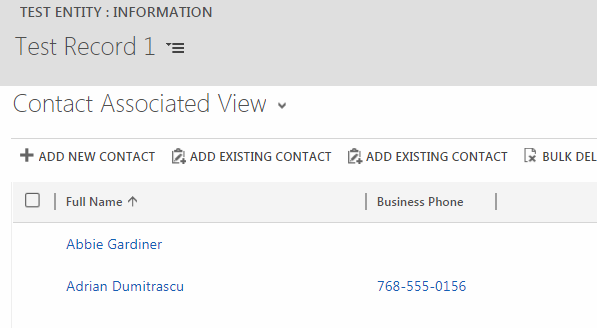 Show Lookup as Dropdown in Dynamics 365 Portals–Gotchas! I have been working and providing training a lot recently on Dynamics 365 portals. And whenever I go over Metadata configuration of entity form the option – “Render Lookup as Dropdown” option excites the participants a lot. Well, in this article I am not going to show how you can render a lookup as dropdown. Rather I would like to highlight what features you loose when you render your lookup as dropdown. When you render your lookup as dropdown, the first thing you observe that the list is empty. Well, this may happen because there is a bit of change in this implementation. Right now the options will only show up is you enable entity permission for the entity which is shown as lookup. 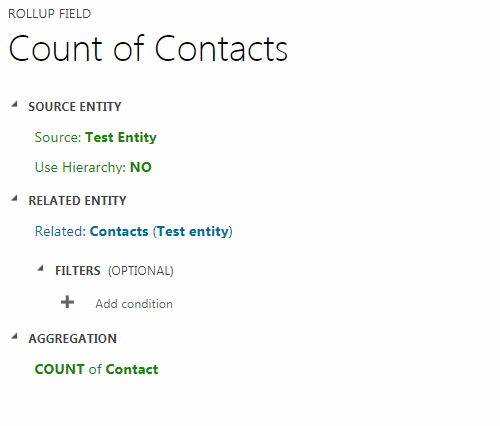 For example – Primary Contact field on the account form. When you render your Primary Contact as dropdown in Portals, you need to have an entity permission for contact entity with Append privilege for the webrole the user is logged in with. The contacts will show up then. Gotcha 1 – Lookup filtering not working. Well this is something undesirable but as of the day I am writing this blog, related records filtering does not work for lookups rendered as dropdown. Short article but should put you in good stead next time your customer asks for this option. I have wrote quite a few articles over the last one year to query Dynamics Web API using ADAL from client side and as well as server side. However lately I am receiving loads of queries on how to Authenticate with web-API without using any user credential or how to authenticate with new Server to Server (S2S) authentication. I thought of providing some good links already available there. However I feel that some of the steps mentioned are not pictorially represented. Hence penning down this blog for the benefit of my blog readers. 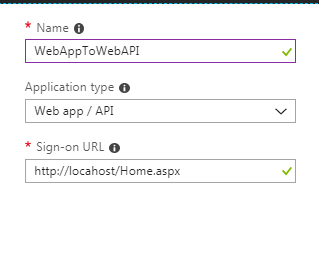 In this example I will give a complete example of querying the list of account through Web API from a External web app and not just getting the bearer token. 2. Send the authorization token to get the list of accounts from CRM using the Web API endpoint. Enter the necessary information. Name is anything you wish to give. Sign-on Url is my website’s sign-on page. Once the application is created then note down the Application ID and then click on Settings. You Application ID here is the Client ID. Choose Delegated permissions as highlighted below and the save your settings in Azure. Then click on Keys. Enter the key name to get a key value. Copy it immediately and store it. It is your client secret. The next step is to get the bearer token. To do this, open your project and through Nu-get package manager, add reference to the latest version of ADAL. Below is the code to get the bearer token. Please read the comments to make the code work for your organization. AuthenticationResult result = await context.AcquireTokenAsync("https://xrmforyou53.crm.dynamics.com", credential); // https://xrmforyou53.crm.dynamics.com is my CRM URL. You need to use your crm url to test this. Please observe, we have not used the credentials of any user anywhere. Step 3: Get the accounts from CRM. So far you may be thinking that this is what we have already tried before as well. What’s new in this. Well I take the below piece of code and try to load my account list. However I receive 401. Unauthorized error. If you are feeling now it’s time to learn something new, you are right. But before we go ahead, let’s understand why you are getting unauthorized error. 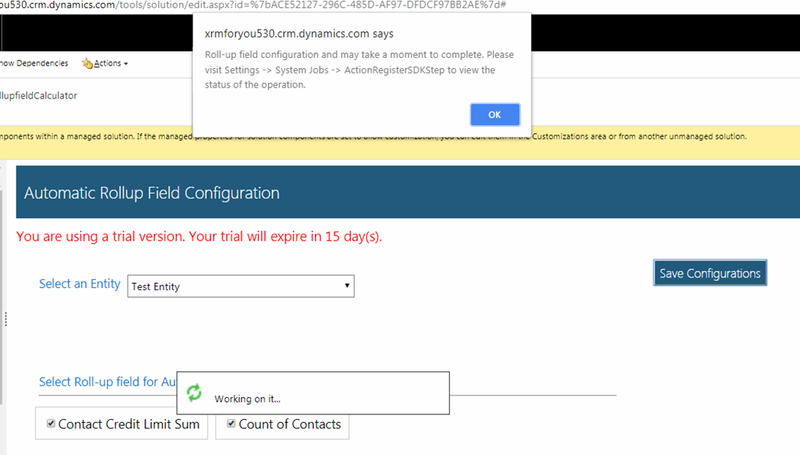 After all, in Azure I gave the app to access Dynamics as a Organization user. 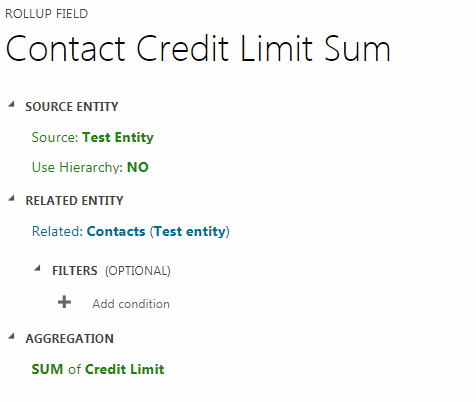 That step enabled the client application to access Dynamics CRM by using the Application ID and the client secret. Your client application is now able to be authenticated against Azure AD with permission to access CRM Online. However, CRM Online does not know about this "client application" or "user". CRM API will response a 401 if you try to access it. So let’s jump to step 4. Step 4: Create an Application User in CRM and assign security roles to it. Well this may be a previous step but I deliberately put it in the last one to make you understand the unauthorized error. 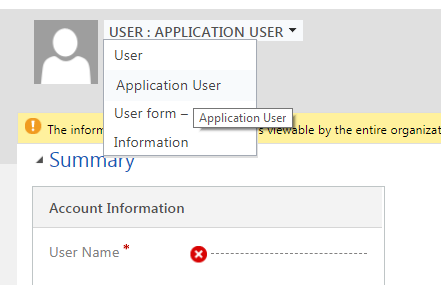 Go to CRM –> Security –> Users and switch the view from the default view to “Application Users”. Click on the New button to create a New Application User. You may be landing to the user form by default. Change the form to application user form. 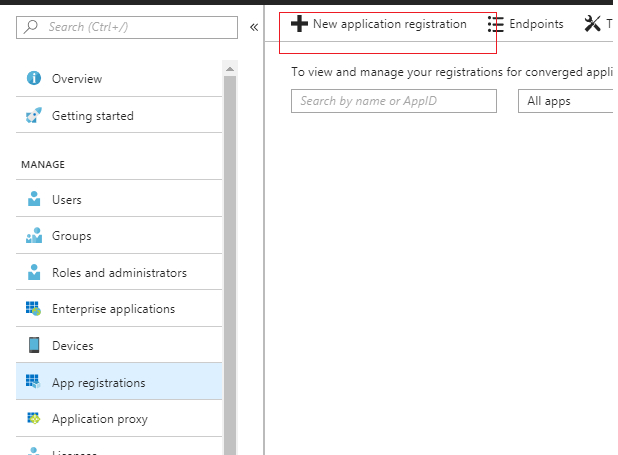 In the application ID, enter the application ID of your app you obtained from Azure in Step 1. Email I put as – webappuser@xrmforyou53.onmicrosoft.com. I have used my domain. You better use your CRM domain. The name will automatically populate from the email you give. Once you save the record, CRM will auto populate the Application ID URI and the Azure AD Object ID. Now in this example we are trying to retrieve account records. So it’s better you create a custom security role and assign to this user which will give the application user read permission on the Account record. I copied the Salesperson role and then assigned to this application user. Basically whatever operation you want to perform using Web API, you need to provide the same privilege to the application user. Now when you run the code in Step 3, this time you get the account JSON. The icing on the cake is Application user won’t consume CRM licenses as well. Hope this was helpful for you guys.